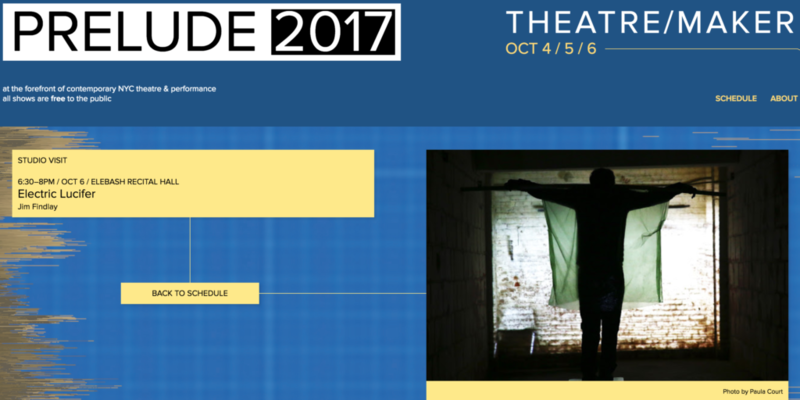 We will be presenting an excerpt of Electric Lucifer at the Prelude Festival at CUNY Graduate Center on Oct 6 at 6:30 pm. Gonna rock. Performed by Okwui Okpokwasili, Robert M. Johanson and Seth Braley with Philip White. With special guest Andrew Friedman who will play some word games with us.